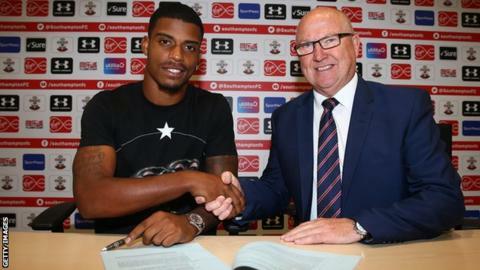 Former Southampton vice-chairman Les Reed has been appointed as the Football Association’s new technical director. Reed replaces Dan Ashworth, who will take up the same position at Premier League side Brighton in spring 2019. The 66-year-old will be in charge of England’s elite men’s and women’s teams, the development sides, and FA education and coaching. Reed, who left Southampton last month, has worked for the FA before, including an earlier stint as technical director. Between 1986 and 1995 he held various coaching rules and also worked under ex-England manager Kevin Keegan from 1998-2000, before becoming technical director from 2002-04. During Ashworth’s tenure, England Women finished third at the 2015 World Cup and reached the semi-finals of the 2017 European Championship, while the men reached the World Cup semi-finals. England’s men’s youth teams also saw success, winning the under-17 and under-20 World Cups as well as the European U19 Championship. “The challenge will be to continue the progress that has been made and I hope I can bring my experience to help England teams continue on the right path,” said Reed, who starts his new role in February. Reed, a former Charlton manager, joined Southampton in April 2010 with the club in League One. He oversaw a period in which the club won two promotions to reach the Premier League and reached the EFL Cup final in 2017. “Les’ experience in the game is unrivalled,” said FA chief executive Martin Glenn.